I have a genuine knack for orchestrating excellent events. When these occasions include my family, they hate being around me. Moving is sort of an event, and tomorrow my youngest daughter will be helping me. She dreads it because of the demeanor I take on during such activities. Frankly, I don’t know what their problem is. I’m simply focused on the task at hand and not in the mood to molly-coddle. I guess I become like a drill sergeant without realizing how mechanical I become. But I really need to be a different me tomorrow than I usually am during a move. Here my daughter is planning to help me do one of the worst things for anyone to be involved with, and she’s dreading the time with me. That’s just not good. The question is, can I change? Can I behave differently, after being pretty much the same all of my adult life in such situations? 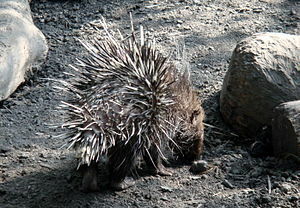 Can I be sweet as a kitty, which is my usual demeanor, instead of as prickly as a porcupine? If I don’t let pride get in the way, I know that God will answer my prayer to make tomorrow actually fun for all of us. After all, I’m beautifully packed up with a minimal amount of work remaining. The apartments I’m moving from have promised to pay for the move because of the situation I’ve had to put up in this toxic place. So there’s no money pressure. There’s simply no excuse for me to be terse tomorrow. Lord, for my daughter’s sake, help me put on Christ instead of my prickly suit. Avoiding Tell-Tale Christian Blowouts: You Can Do It!